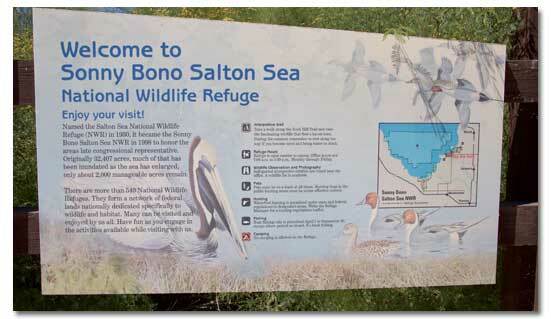 One of the best areas for bird watching in Southern California is the Salton Sea National Wildlife Refuge (NWR). The refuge was established in 1930 by presidential proclamation. Originally, the refuge consisted of approximately 35,000 acres. 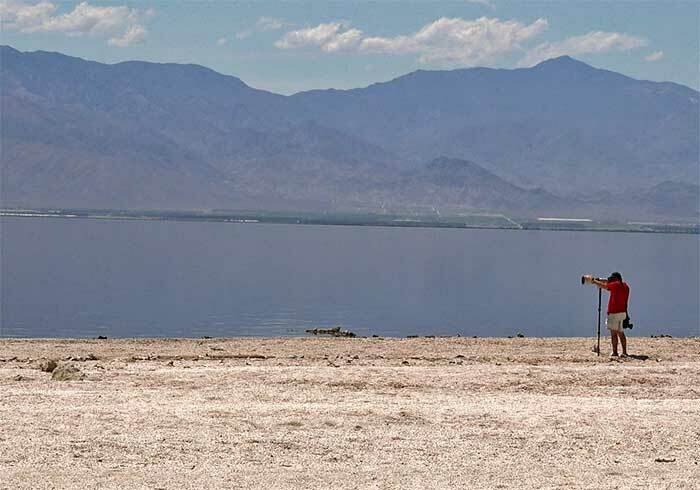 Now, because the Salton Sea is slowly receding, only about 826 manageable acres remain. The Salton Sea is located in the Sonoran Desert of Imperial and Riverside counties just north of El Centro, California. The habitat contains 32,484 acres of salt marsh and open water, and 2,000 acres of pasture and freshwater marsh. The sea is 34 miles long and is one of the lowest places in the United States, about 228 feet below sea level. The Salton Sea hosts the most diverse species of birds of any NWR in the west. 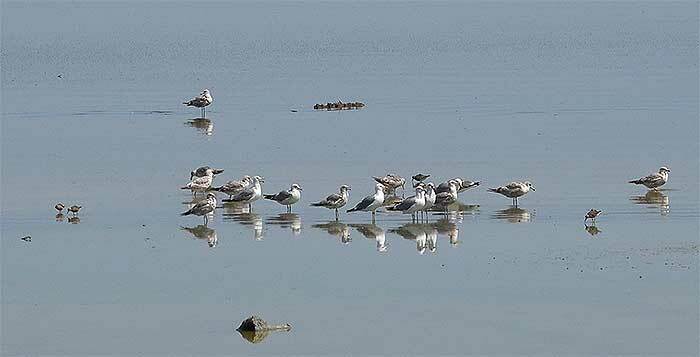 More than 375 different types of birds have been recorded in the Salton Sea and Imperial Valley regions. 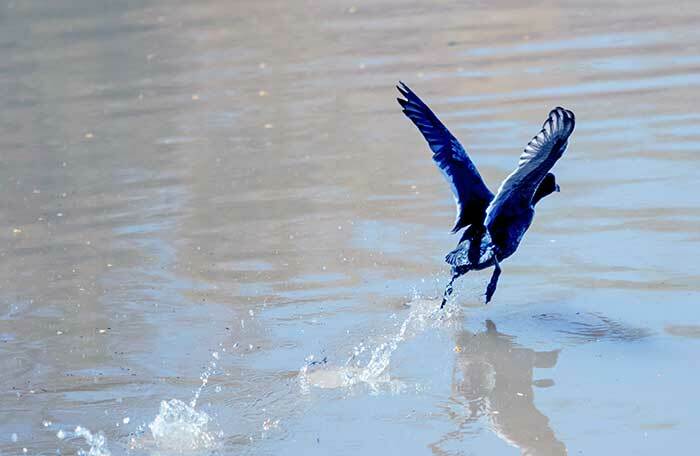 Heavy migrations of waterfowl, marsh and shorebirds appear during the spring and fall. During the winter and spring, a variety of smaller birds and raptors occupy the refuge. 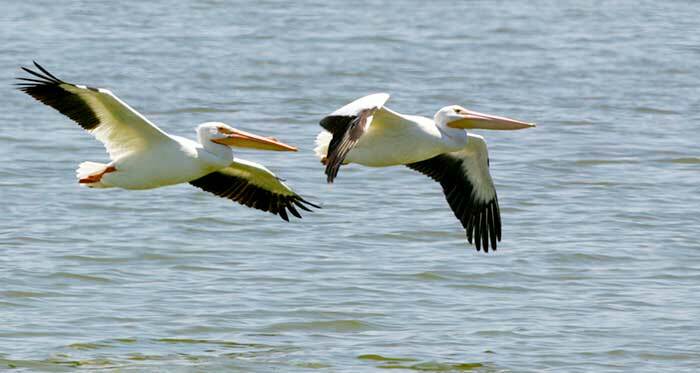 The best months for bird watching at the Salton Sea are November to May. 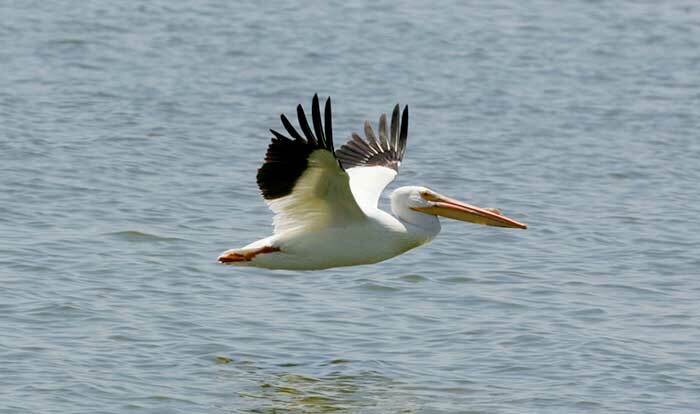 The refuge's primary purpose is to provide habitat for migrating and wintering waterfowl and endangered species. The Salton Sea also provides feeding, resting and nesting habitat for a large number of shorebirds, and supports a diversity of wildlife species throughout the year. Other animals introduced into the Salton Sea, accidentally or intentionally, include barnacles, pile worms and copepods. These animals play an important role in providing food for the fishery. The relationship between the fish and their food is so close that, if one were to disappear, the entire system would be significantly affected. Thousands of waterfowl and other birds spend the winter here. Canada geese, snow geese, American avocets, black-necked stilts, pintails, green-winged teal, eared grebes and a wide variety of other species are commonly seen during the winter. Endangered species at the refuge include the Yuma clapper rail, which can be found here throughout the year; it breeds in the marshes around the southeastern portion of the Salton Sea. Other endangered or threatened species occasionally observed on the refuge include the bald eagle, California brown pelican and the peregrine falcon. Before the Salton Sea was formed, waterfowl in this area were mostly found along the marshes and delta of the Colorado River (primarily in Mexico). During the 1920s, as water was increasingly diverted from the Colorado River for agriculture, marshes were inadvertently created. These marshes, at the edges of the then-smaller Salton Sea, resulted from agricultural water runoff. Waterfowl were attracted to the marshes from their former winter home in the drying Colorado River Delta. Closeup of the beach, not sand but shells. As farming intensified in the 1940s and the Salton Sea expanded, marshland once again shrunk and waterfowl turned to farmers' crops for food. Today, crops are grown on the refuge to feed wintering waterfowl and to keep the birds from eating agricultural crops. The refuge's headquarters has a visitor center, informational kiosks and a bird exhibit that provide the opportunity to see many of the bird species common at the Salton Sea. A free wildlife list which contains birds, mammals, reptiles, amphibians and fish present in the area that you can watch for is also available. 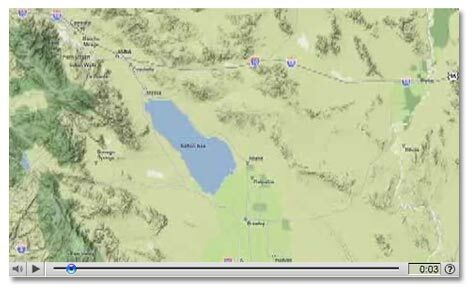 Click on map for video on the Salton Sea. Notes: BLM Access Guide #20 contains a nice map of the Salton Sea region. and the town of Niland, CA, home of Salvation Mountain and Slab City.